As we all know two talented stars Venkatesh and Naga Chaitanya are coming together for a film to be directed by KS Ravindra aka Bobby. There’s a lot of buzz around the film’s title and star cast. Amid everything, everyone is waiting to know when the shooting of the film will hit the floors as there had been a lot of buzz regarding the film being shelved. According to reports, the film will have its formal launch on July 11 at Ramanaidu Studios. The makers will finally commence with the shooting of the film in this month and this is only leaving us excited to catch some amazing pictures of Venkatesh and Naga Chaitanya from the sets of the film. Meanwhile, Rakul is busy with her next Tamil film. 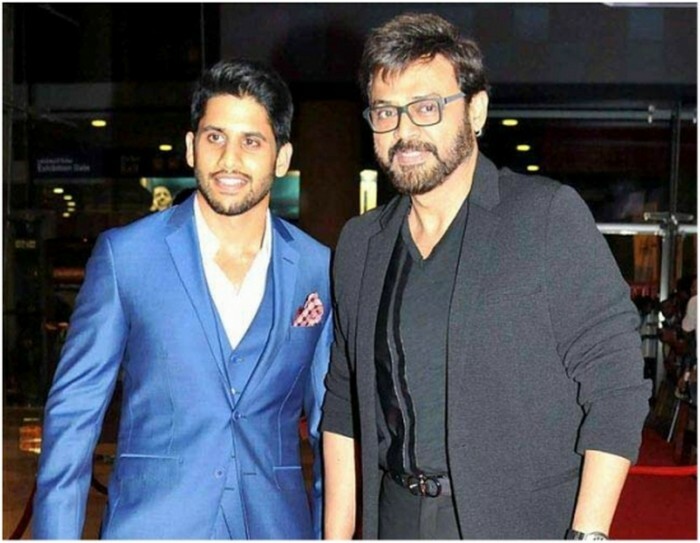 Venkatesh is busy with Teja’s film and Naga Chaitanya is busy with the shoot of his next Savyasachi. Akkineni Naga Chaitanya has geared up for his interesting upcoming film, Savyasachi, which is being directed by Chandoo Mondeti. The actor will be seen romancing actress Nidhhi Agerwal in the film. Well, the team recently had headed to New York for the shooting of final schedule of the film.